← Monogamy for the ben[e]fit of women? A few months ago I made a post where I examined the claim that Thomas Spencer Monson was a prophet. Foolishly I hadn’t realized how much of a hot button this would be. But regardless(and perhaps foolishly), I’m going to examine this topic again. However I’m going to look at it in a more general fashion. There were a few things that happened after I wrote my Thomas S. Monson post that made me think about the stance I had taken. The biggest one was a member of the previous ward that I attended spoke of an instance where a General Authority of the Church was organizing a new stake in Saskatoon, Saskatchewan, in Canada. Instead of organizing just one stake this leader was inspired to organize two stakes. Years later having both of those stakes allowed for growth of the Church in that area. So was I wrong to have stated that Thomas S. Monson and other general authorities are not Prophets, Seers, and Revelators? If yes, then why do they not produce written revelations? If no, then how can they still receive inspiration, as demonstrated above? One thing is for sure is that I overlooked one importance facet of prophethood. 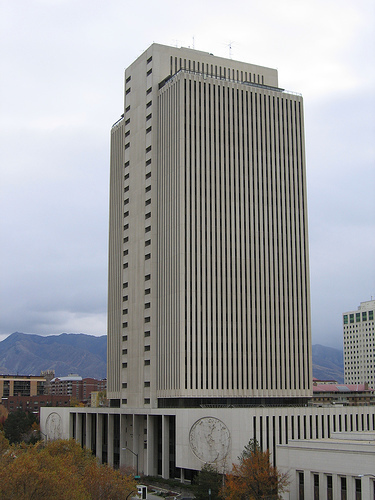 In this write up I intend to examine this facet, and again re-examine the prophetic claims of leadership within the corporation of the Church of Jesus Christ of Latter-day Saints. We learn some important information in the Book of Revelation. Any person who has the testimony of Jesus has the spirit of prophecy. Joseph Smith confirmed this when writing a Question and Answer about the church. 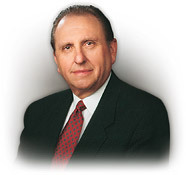 So does President Thomas S. Monson have a testimony of Jesus Christ? If so, then, Yes, he is prophet. Do other General Authorities have a testimony of Jesus? If so, then, Yes, they are prophets too. Does your bishop or other local leader have testimony of Christ? If so, then they are also prophets. Do you have a testimony of Christ? If so, then YOU are also prophet in the exact same fashion as any leader. The problem is the prophet worship we have in the world today. Perhaps, “Prophet worship” might be too harsh of words. Regardless, there are many people today teaching that there is only one prophet on the earth at any time. This is incorrect as we have seen through Joseph Smith’s teachings and Revelation 19:10. People are also taught to believe that THE prophet can never lead us astray. First of all there is never only one prophet at a time to thus qualify as “THE” prophet. Second, the prophet never leading the Church astray idea originated with Wilford Woodruff, in his pretentious rejection of Plural Marriage*. Joseph Smith rejected the notion that a man could never lead the church astray. Even Brigham Young, surprisingly, rejected the same notion. The scriptures all together reject this apostate idea as false(1 Kings 22:21-23; Deuteronomy 13:1-4). I call this idea apostate because it is the exact same one that exists in the Catholic Church. Human beings are imperfect and fallible. 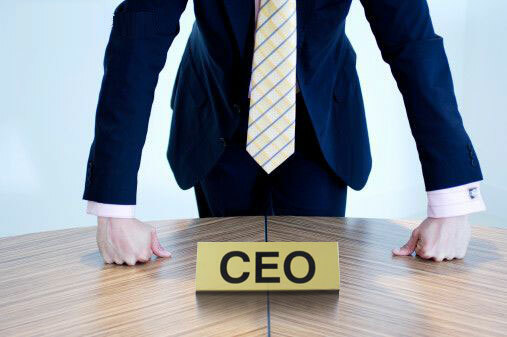 Just because somebody gains a high corporate title does not mean that their decisions and statements are suddenly impervious to imperfection and error. So we have learned two things thus far: First, that anyone who has a testimony of Christ is a prophet. And second prophets(since anyone with a testimony of Christ is one) are not perfect and can in fact lead people astray. We will come back to this second point later. One of the biggest problems people have, including myself at one point, with the idea that there can be many prophets, is the thought of the disorder that must surely come with such an arrangement. If you are reading this and a faithful member of the L-DS Church, then probably this thought has already crossed your mind. Come on be honest. And it’s true, this idea is ingrained into every L-DS members since their youth or conversion. There can only be one prophet leading. If there were more than one it would create disorder. I can witness that this is the case. Just last Sunday our Sunday School teacher spoke about he knows that the Church is true because there is only one prophet leading the Church. This is because God is a God of order, thus inferring that if there were more than one prophet then it would create disorder. However, this concept is NOT what we are taught in the scriptures. 25 And the Lord came down in a cloud, and spake unto him, and took of the Spirit that was upon him, and gave it unto the seventy elders; and it came to pass, that, when the Spirit rested upon them, they prophesied, and did not cease. 26 But there remained two of the men in the camp, the name of the one was Eldad, and the name of the other Medad; and the Spirit rested upon them; and they were of them that were written, but went not out unto the tabernacle; and they prophesied in the camp. 28 And Joshua, the son of Nun, the servant of Moses, one of his young men, answered and said, My lord Moses, forbid them. Here we read an interesting occurrence. Moses had gathered men to the tabernacle. They began prophesying. But low and behold what happened. There were these two ordinary guys in the camp, they were not part of those seventy leaders, yet they started going around “prophesying.” Aren’t the leaders of the Church the only ones who can do that? The Israelites seems to have had a similar idea, since one of the men named Joshua told Moses that he should forbid these two guys from prophesying. I’m going to be honest too, it does make sense. Rationally if more than one person claims to speak for God it would be confusing. It would seem to make much more sense to only have one person speak for God. Then everything that one person says would be in harmony(we would hope). So if Brother Joe B. Low gets up in sacrament meeting and starts prophesying he should be forbidden. After all, only the leaders of the Church can prophesy or give revelations. Imagine, if you will, what President Monson, one of the Twelve, a Seventy, or even a Bishop would do if some people went around the Church prophesying outside of official channels. For me, I imagine that they would have a similar reaction to Joshua. They would want to forbid him, or at least call him into the Bishops office after sacrament meeting. 29 And Moses said unto him, Enviest thou for my sake? would God that all the Lord’s people were prophets, and that the Lord would put his Spirit upon them. Moses basically said, “You’re jealous for me?” He was essentially saying, “Do you think I care if these guys are prophesying?” The fact is, that Moses didn’t care that others besides the leaders were prophesying. Moses even went on to say that God wants ALL the lord’s people to prophesy. So if we went back in time, and asked Moses if God’s form of order was that only on leader should speak for God, we can assume his answer would be not only, “No,” but, “Heck, NO!” Moses helps us realize that prophecy is not a gift limited to one man who is a leader. Rather it is a gift that can occur in any person when the Spirit comes upon them. And that it is God’s will that this gift come upon ALL His people. As we can see, this again reinforces the idea of not only more than one prophet, but the common membership being prophets. Moses understood that the Lord wants ALL His people to be prophets. Not just one leader. God wants a people of prophets. The idea that it is the Lord’s will for one man to sit on top and dictate prophecy and revelation while everyone else follows what that man says is a false one. We must each develop a close personal bond with Jesus Christ. We must be our own prophets. We cannot rely on the words of other men. The iron rod is the Word of God, not the words of some corporate leaders in a, dare I say, Great and Spacious Building. 5 I would that ye all spake with tongues, but rather that ye prophesied; for greater is he that prophesieth than he that speaketh with tongues, except he interpret, that the church may receive edifying. We should be desiring to prophecy. Additionally, the prophesying of the common membership is one way to help bring people to Christ and help convince them of the truthfulness of the gospel. But again, we are stuck with the mass confusion that such a system would create. If every member of the church is giving different prophecies and revelations then the Church would be thrown into chaos! It appears much more logical, and easy, for us to listen twice a year at general conference to fifteen men who speak for God and whose prophecies and revelations never contradict. However this is not so. In addition to other resources 1 Corinthians 14 also gives us instruction on how to handle the common prophet system. Here the same question is asked. Just how is such a thing done? When the prophets, that is, the average ward member, prophecy there should be one who sits and judges what they say. That might even be applied to say that each member judges for themselves. 30 If anything be revealed to another that sitteth by, let the first hold his peace. Everyone must take their turn when prophesying in meetings. The meaning of the “spirits of the prophets are subject to the prophets” means that any true prophecy cannot contradict a previous true prophecy given by any other prophet. Joseph Smith likewise confirmed this when he taught that a true revelation will not contradict a previous one. However, instead of understanding this chapter, people look at verse 33 and think that supports the idea that there is only one prophet at a time. Yet this verse is directly supporting the idea that there can be order even when every member of the church is a prophet. 36 What! came the word of God out from you? or came it unto you only? The word of God does not only come to one leader. This verse, to me at least(and I may be interpreting it wrong), seems to be expressing dismay at the idea that the word of God would only come to one person. Again we are told in this chapter to “covet prophesy.” When was that last time you actually wanted to be a prophet and give revelations? The scriptures teach us that this is something that we should be doing. I don’t think that God will give us the gift of prophecy if we are unwilling to accept it. There is only one prophet on the earth at a time. All, most, or many of God’s people are prophets. God speaks to him and he teaches God’s word. God speaks to all people according to their gifts. The people listen and obey. All people listen to the words of others, they use the Spirit to determine what is true. Requires little effort on the part of the listener. Requires extensive effort on the part of the listener. While the “One Prophet” system may sound very logical and easy, those are precisely the reasons why it is not the correct system. Many prophets at once, sounds illogical, and foolish. It sounds like confusion. Yet, God does not always use what is logical according to men. God, also, does not want an idle people. The “One Prophet” system would have us believe that it is our leaders’ “province to teach to the Church what the doctrine is. It is [our] province to echo what [they] say or to remain silent.”** We must follow all “official church policies” regardless if they align with the scriptures or not. However the scriptures teach that as long as we do good and work to bring to pass righteousness then we will not lose our reward. It doesn’t matter if we are inline with a Church program or policy so long as we are engaged in a good cause and do it of our own free will. There are, Sections in the Doctrine and Covenants which state that only Joseph Smith may receive revelations for the whole church. There are a couple ways we can address these scriptures. One way is that they only applied to Joseph Smith, Jr. Another way is that revelations(revelator) are different than prophecies(Prophet). I also find it interesting that Joseph Smith organized the Anointed Quorum to be able to hear revelations from any member and accept them for presentation to the whole church. The Anointed Quorum was an actual quorum of members who had received their Nauvoo Endowment. It was not just a generic group of endowed members. I’d like to hear more thoughts on the idea. Furthermore, how do we square the multiple prophet system with the principle of having a President of the Church? Well let’s looks at a scripture pertaining to the duties of the President of the Church. Yes, the President of the church does play an important role. They are to preside over the church, which in God’s terms means to serve the whole church. Their duty is not to be supreme infallible dictator. Additionally according to section 107 the First Presidency, Quorum of the Twelve, Quorum of the Seventy, High Council of Zion, and the combined High Councils of all of the Stakes of Zion, all are equal in authority. Additionally you’ll notice it said the President’s duty is to be like unto Moses. As we read earlier it was Moses who didn’t reject the general membership from prophesying. It was also Moses who said that God wanted all His people to be prophets. I don’t want you to think that I advocate rejecting Thomas S. Monson as a prophet. If Thomas Monson has a testimony of Christ then he is a prophet. It would be wrong to reject the words of a prophet. However just as with any prophet, we must examine their words and determine if they square with what is taught in the Scriptures. Those words they speak that do align with scripture then we accept them. Those words that don’t we are duty bound as children of God to reject them. As discussed earlier this is were he must be weary of a fallible human leading people astray. One problem we may encounter is when true revelation given to someone regarding incorrect ideas. As in the example I gave at the beginning a General Authority received real revelation about organizing stakes. However the problem is that the organization of stakes in the L-DS Church today runs contrary to how they are supposed to be established in scripture. How then, can real revelation be received? 3 Son of man, these men have set up their idols in their heart, and put the stumbling block of their iniquity before their face; should I be inquired of at all by them? When we set idols up before ourselves, God will answer us according to those idol. While a stake may be organized by revelation, that does not mean that the organization of the stake has been done as God wants it. It just means that God is speaking to that person through their idols. Another example could be the Church Handbook of Instruction. I’m sure there are many Bishops and even regular members out there who have received true revelation from God regarding something concerning the Church Handbook of Instruction. This is real revelation. The problem is that instead of following God’s Word in the scriptures, we have set up the Church Handbook of Instruction as an idol in our hearts. Therefor God will inspire us according to that idol. However, even though the CHI may have some good instruction, it may even have some wise council, and people probably have had positive experiences with it; we have been commanded to turn from our idols. When we obey teachings, books, manuals, magazines, and cultural practices that run contrary to scripture and the words of the prophets, we are setting those things up as idols before us. We are commanded by God to reject them. As we begin ridding our lives of idols(and for me this is quite a task) the Spirit can teach us more freely. One week we maybe be quietly enjoying the Spirit, while partaking of a sacrament administered by priests while elders are present. But the next, the Lord might withdraw His Spirit from that same sacrament because now we understand that the sacrament cannot be properly administered by priests if elders are present. The Gospel Principles manual teaches that Tithing is paying one-tenth of our income. However Doctrine and Covenants Section 119 gives us a different story. Only after we consecrate all of our property to the Bishop can we begin to pay tithing. Tithing itself being ten percent of our excess property after one year. This means that after one year everything that is left over after our expenditures is consecrated to the Bishop. Ten percent of THAT, our interest, is given as tithing. However tithing has an additional definition. Prior to Section 119 tithing referred to any offering. So you can still pay tithing as an offering but there is no requirement of ten percent. The ten percent definition of tithing can ONLY be lived as part of the Law of Consecration. Think of that next time you fill out a tithing slip; or go for a temple recommend and you are asked if you pay a full and honest tithe. The answer is you can’t because we are not living the Law of Consecration. However in Doctrine and Covenants 89 teaches us something different. Verse 2 states that the revelation is, “to be sent greeting; not by commandment or constraint, but by revelation and the word of wisdom.” The Word of Wisdom cannot be a commandment because in the original revelation is says it is not to be sent by commandment. Anyone who teaches that the Word of Wisdom is a commandment is not in harmony with the scriptures and is preaching false teachings. Matthew 15:11 teaches that “Not that which goeth into the mouth defileth a man; but that which cometh out of the mouth, this defileth a man.” This is why section 89 is not a commandments but a word of wisdom. Additionally the Word of Wisdom allows for drinking wine for the sacrament*** and also for drinking beer****. This is not correct. There is no such thing as being gathered spiritually first. Saying that the spiritual gathering began with Joseph Smith is, to be frank, an outright lie! Joseph Smith firmly believed in a literal physical gathering. That is why converts from all over the world got on boats and came here to North America. To say it was a Spiritual gathering is an insult to the sacrifices of those ho came before us. They were literally gathering Israel. That is why the Saints as a whole moved from place to place establishing cities. In the gathering the gentiles are to be gathered to Zion and the Jews are to be gathered to Jerusalem. If the gathering is spiritual, and Zion symbolically means becoming a member of the Church, then what does Jerusalem symbolically mean for the Jews? The Jewish religion? Are we really to believe that our missionaries to be recruiting for the Jewish religion as well? The gathering is very literal. It has never been revoked by God. Anyone who preaches otherwise is not teaching in line with the scriptures. The leaders of the Church do teach many correct things as well. They teach us to love our families. They teach us to be Charitable to our fellow beings. There are many other good teachings in the Church. But at the same time there are many things the we should be cautious of. As we make the scriptures part of our lives we must use them to determine correct principles. We must reject those teachings that run contrary to the scriptures and the words of the prophets. I hope this write up was helpful in expounding upon the multiple prophet system. God truly does want a people of prophets. We must overcome the temptation to be thankful for “our living prophet,” rather we should be thankful for “living prophets.” We need to look around and find those who prophecy for God. And believe me there are many. We must examine the claims of the prophets and reject that which is false, but also accept that which is true. There is no such thing as “official channels” for God. If God wants to give a prophecy through your next door neighbor He will. We become a lazy, slothful, idle, and idolatrous people when we think we can listen to the words of fifteen men and be assured that what they say is God’s will. It is idleness! It is laziness! Have any of you read the revelations of James Strang? What about Joseph Smith III, the Prophet’s son? Have you read the Second Book of Commandments? What about Christopher Nemelka? There’s even the Mentinah archives, a record of the descendants of Hagoth. Have you even bothered to search and examine these things? Some may be true some may be not. Do you only have time to listen to General Conference or read the Ensign? Or will you “treasure up in your minds continually the words of life” and SEEK after everything that is virtuous, lovely, of good report, and/or praiseworthy? Seek doesn’t mean wait for it to be handed to you over the television, or in a magazine twice a year. It means to go out and search these things out. I want to invite everyone who reads this, yes even you people who may be reading this offline, to come here to my blog. I want to hear your comments and ideas. I’m an imperfect person, my ideas and write ups are not perfect. There is a comment section underneath every post, it is very easy to use. The address you will need to go to is https://zomarah.wordpress.com/2011/08/10/prophecy-and-paradigm. I don’t censor anybody’s comments(unless it’s spam). Even if you are in complete opposition to what I wrote feel free to make your voice heard. Rest assured you will probably bring up something I hadn’t considered before or give me something to think about. Let’s examine the teachings of not only the Church, but of anybody. Let’s find out what is being taught that is in line with the scriptures. Please, I want to hear your opinions I really do. This entry was posted in Church, Prophets and tagged church, prophecy, prophet, revelation, Revelator, Thomas S. Monson. Bookmark the permalink. (1) I want to point you to this discussion and ask for your comments in related to what you posted here. What is done by faith? Healing, casting out devils, revelation, moving mountains, obtaining promises from the Lord, discernment, and so on. And then there’s the Gifts of the Spirit, which have nothing to do with the priesthood, either. So what is left to priesthood? All those things listed in D&C 84 and 107: receiving angels, administering the gospel of repentance, opening the mysteries of heaven, communing with the Church of the First Born, being in the presence of God. These were taught by Moses, you see, but the Children of Israel rejected them, and asked for Moses alone to be in the presence of God, to be their The Prophet. And so they were cursed. Now we make following The Prophet not a cursing, oh no, but the principle virtue in heaven. … good men can show heavenly gifts, and just happen to be part of “the priesthood.” But this is where we need to return to scripture, and find what is said to be the exclusive fruit of priesthood power. Tell me, when was the last time they called down angels? And I don’t mean deacons. … Everything we’d attribute to priesthood – all the blessings, miracles, and so on – are purely the result of faith, of our acting as if something were real and true, and so the results are fooled into existence. The priesthood has tried to gain market share over faith, and that’s how we know it’s a false thing. It’s a drama, a test, a stage, all the world, as someone once said. So we can call the fruits of faith “priesthood” power, and we can name a group of guys “the priesthood,” who are, at times, good men who enjoy the fruits of the Spirit, and those fruits of faith, irrespective of priesthood. (2) Can you change the format that comments are posted in so that they flow chronologically instead of in mini-threads? It would make it easier for me to follow subsequent comments, as the most recent comment will always be added to the end and so on. The Word of Wisdom is…a mess. And yet it is the defining marker for the modern Latter-day Saint. 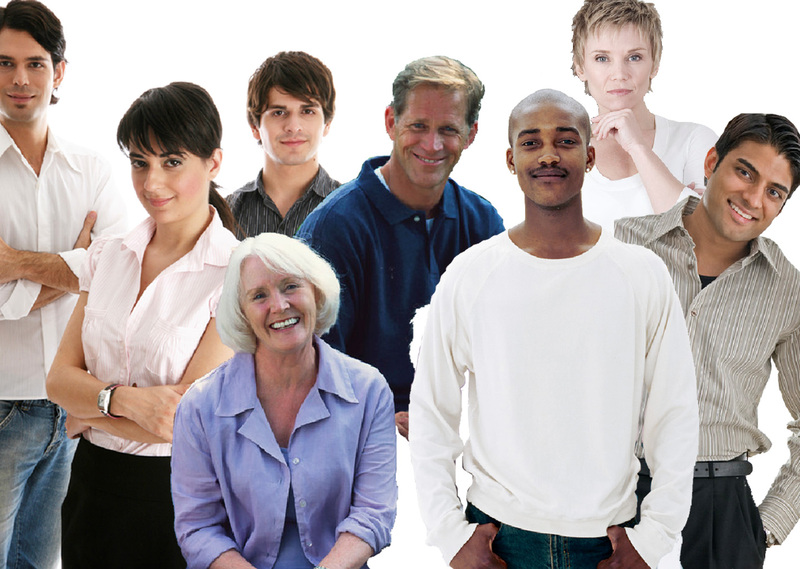 Culturally and otherwise, adherence to it is what puts you either with the “in” crowd or the “out” crowd. It’s infinitely tragic, because when co-workers, classmates, and various acquaintances meet us for the first time, that barrier may be all they see. I personally adhere to the Word of Wisdom. In fact, I think it may have saved me from a lot of heartache growing up, but that doesn’t stop me from saying the damn thing may have single-handedly ruined the Mormons. Dare I say you’re being too *ahem* charitable towards our beloved Prophet. To be certain, the message from the August 2011 Ensign made me feel all warm and fuzzy, but that’s just good ol’ grandfatherly wisdom. A “correct teaching” is not a prophecy, and that’s the problem: Aren’t prophet’s supposed to…umm…prophesy? (heaven forbid they ever do) That’s what these men are: Wise, dependable, grand-fatherly types, and I respect them for the role they are able fulfill. But they are also a gerontacracy running a corporation…and not everything about that can be a good thing. In April of 1844 Joseph received a revelation about gathering in regards to the finishing of the Nauvoo temple. It might surprise you. Of course all bets are off after it’s destruction and a need to build another one. He basically says, he received a revelation that north and south America was zion and the elders should build up churches in all the land even the great cities and cover the face of zion with branches. He implies there will be gathering enough with people coming to receive their endowments, baptism for the dead and sealings etc. My opinion is he saw them staying for a while and doing their temple work. But he talks about how they can then return aftewards to the cities/branches they came from. I recently went to Utah to look for houses, I’m a big believer in the Dream Mine and Bishop John Koyle’s revelations and was looking around Spanish Fork etc. But felt repelled by the area. I get back home to Texas and I feel an overwhelming confirmation this is where I need to be. I then find the above sermon from Joseph. I knew about him sending Lyman Wight to Texas to set up a colony, and Texas is one of the largest growing areas in the church. It’s been an oasis from most of the economic woes and would make for a nice gathering point on the way to Missouri (8 hours by car). I think the church is right where it’s supposed to be, worn out by the beast (Daniel 7), confused about what gathering is and leaving people in the world needlessly, Babylon is falling as D&C 133 and Rev 18 talk about, the merchants are weeping for her (Economy/Capitalism) all of this is setting the stage for the One Might & Strong to set the House of God in order, to gather for a 2nd time and get crap organized for the 2nd coming. Those were great insights, JMW. I think the Church benefits from being spread out. The more concentrated it is (I grew up in a town that was predominately Mormon), the more complacent its members become. Now I’m going to re-read Daniel 7. Complacent members, in my opinion, is the consequence of leaders setting the bar very low and speaking soft words. If you tell members they don’t have to live their covenants (law of consecration comes to mind) and still receive the blessings, there is no incentive for spiritual growth and no path for it in the church. Daniel saw our day. He left examples of his life and his friends lives because he saw us being conquered by a government that wouldn’t allow us to live our religion as God had intended. That is why we have the lion’s den and furnace stories. However the lions dens and furnaces of the 1890’s and early 1900’s were too scary and too hot for some of the brethren. So when Daniel in chapter 7 sees a horn on the beast wear out the saints of the most high, he saw it didn’t destroy them, it submitted them. Then it thought to change their times and laws. Well that’s exactly what happened. After the supreme court upheld the Edmunds-Tucker act, the Church was dissolved, all assets were now held by the government. The dirty little secret is the church has never been reincorporated. What has been incorporated does not include the members, 1 owner (Pres of the church) that’s it. Now about the times and laws. How can we be the dispensation of the fullness of times if the government won’t let us practice the laws of matrimony of the dispensation of Abraham or the gathering to Zion of the dispensation of Moses (Joseph was given the keys to the gathering of Israel) or the United Order of the dispensation of Enoch? This is why Nephi in the BoM is saying Woe to those that say all is well in Zion and Zion prospers. We need to revisit as a church D&C 113, Isaiah 28, 52 & 11. We need to stop trying to appease or look normal to a fallen world with stupid church blogs and “I’m a Mormon” campaigns and finish building the refuge of Zion that the church was created to do before the world falls and drags us down with it. I don’t think so, MC. The bar, in terms of time, effort, and resources, is actually very high. Regular temple attendance, daily personal scripture study, daily family scripture study, weekly Family Home Evening, monthly Home/Visiting teaching, and member-missionary work do not suggest low expectations. Nor do they always use soft words in General Conference; often they do; sometimes they don’t. The problem, as I see it, is that you have a community of disempowered “saints” being herded around like cattle, being told what to say, how to think, and when to act. Those who break rank are ostracized and excluded from the group, either formally or informally. Our sacrament talks are little more than an opportunity to parrot what a GA already said last General Conference. Sunday School lessons come from dumbed-down manuals that veil/reinterpret the true meaning of the scriptures. Our good works are scheduled and mandated by the “Church” rather than a natural outflow of our faith in Christ. And this is the point that I keep getting back to: The Mediator needs no mediator. The Atoner needs no atoner. If is aim is to salve (heal) and save (rescue) us, then perhaps “soft words” and cutting people some slack is appropriate. Christ’s grace is in “the Way” of reconciliation. The work(s) is in traveling “the Way”, i.e., drawing near to Christ, together, as one body, as His Body. But instead…all you get are distractions, distractions, distractions! In an effort to come across as more American, I suppose, the Church in its ever onward descent towards protestantism, adopted the protestant ethic: 1) hard work, 2) duty, 3) thrift, 4) self-discipline, and 5) responsibility. These are now the pillars of salvation in the Mormon Church. Unfortunately, they have nothing to do with the gospel, because for the life of me, I can’t see the “good news” in any of it. Interesting article. It got me to thinking. In the last fifty years what new doctrine has been taught by the president of the church that has had a direct impact on my salvation. As I am not a black male, the revelation on the priesthood had little effect on me. I am not counting “good ol’ grandfatherly wisdom” and as Denver Snuffer has said “environmental issues in light of Mormonism, or immigration policy, or conservative versus liberal political solutions, or dress, grooming, word of wisdom, and ten thousand other irrelevancies”. Is there anything on the list? Help me I cannot think of one. I think you had some interesting points in your article, however, you failed to define what the “testimony of Jesus” is that John and Joseph spoke about. That is important to do since it is the foundation of your whole article. You seem to indicate that all of us who think we have a testimony of Christ are prophets and can prophesy. I believe John the revelator was speaking in the context of having SEEN and CONVERSED with Christ and having had the Father testify of the Son… the more sure word. The Same is true with Joseph. He was using the phrase in the same context that John was using it. If you want to know the context of what Joseph Smith meant by the “testimony of Jesus”, simply read section 76. That is, in my opinion, what the testimony of Jesus is, according to John and Joseph. If you have had the heavens opened and seen Christ while hearing the Father bear witness of his only begotten, then, by all means, you have the testimony of Jesus, you are a prophet, you have the spirit of Prophesy and you can prophecy. If not, don’t flatter yourself into thinking you have the spirit of prophecy or that you are a prophet. And those are actually really GREAT thoughts! You are also correct that I still find myself clearing the cobwebs of indoctrination. I’m not sure if you’ve posted here before but feel free to make any comments you want on any of my past or future articles. I’m certainly not all knowing and do make many mistakes. The more voices we have, the more perspectives we can hear, and the more fully we can examine topics. “Go back to your fields, old man. There are no secrets here.” They laughed and left me to thought. For several years I came and went in the temples, praising the gods, staring into the faces of their statues. Then one afternoon–I don’t know why, perhaps the sun shone on me–a priest led me to the room of secrets. I saw a young girl spinning strands of flax and an old woman baking raisin cakes. Through a window I saw a man plowing his field, struggling to upturn a stone and calling to his stubborn donkeys. A hawk circled overhead, while two children tossed a small fish back into the river. And I wept with joy. Though I’d seen my life before, that moment I knew it differently. From then on I sowed barley and walked under trees with wonder. I stumbled once and fell, then sat laughing in the road. Two boys rushed from their houses to uplift me. This is quoted from the Egyptian Book of The Dead. There’s an account of the Second Anointing floating around the Internet offered by an ex-Mormon where he anticipates seeing the face of his Savior but is disillusioned and ultimately leaves the Church when all he sees is the face of his beloved wife. Please, think long and hard about that one. Zo-ma-rah, to reflect the opposite sentiment, I-am-a-prophet-and-so-are-you. We do have a testimony of Jesus Christ. That’s why I come here; when I venture out into the bloggernacle, I’m primarily looking for people like you who–without guile, without pretense–testify of Christ. You know that’s really interesting you bring that up. Some months ago my wife and I went to the temple. During the endowment my focus was to see the face of Christ. We finished the endowment and changed back to our other clothes. I had no miraculous vision. But when we went downstairs to eat I didn’t have any cash or check. We had our meals all on our trays standing there at the check out. I only had a debit card an they don’t accept them. Another brother and his wife payed for our lunch. We went and sat down. I was going to give them my cinnamon roll as thanks for paying for our lunch. But they were no where to be seen. After talking with my wife I realized they had gone to the cafeteria only to get a cookie. In all honesty I believe my prayer to see the Lord’s face had been answered. I probably should qualify a few things I said. After reading my own comments I can see how they might be misunderstood. Although the spirit of prophesy can potentially fall on virtually anyone at any time, even if they have not had the heavens opened to them and seen Christ and heard the Father witness of his Son, like Joseph, John and many others have, the point Joseph was making is that those who have had the heavens opened to them, DEFINITELY HAVE THE SPIRIT OF PROPHECY. He was using the statement from John the Revelator to provide context for the fact that since he, himself had seen God and Christ like John had, he also clearly had the spirit of prophecy. I suspect this is because the act of penetrating the veil of unbelief that divides mortals living in temporal time from God and angels who live in eternity, requires the spirit of prophecy. This is because God lives in what we refer to as the present, future and the past, all at the same time. God continually has the future and the past before his eyes because he lives in eternity, not temporal time. Hence, in able to view God in eternity while God has all time, present, past and future continually before his face,one must become transfigured and filled with the spirit of prophecy. I believe that is what John and Joseph were talking about. I believe very few if any people living right now have had that experience because we have rejected the greater things and only accepted the lesser things. Another interesting related point to the topic you are addressing is that the Lord has instructed the church that although any righteous person can receive personal revelation, only those designated by revelation through the Lords anointed can receive revelation for the whole church. Oliver Cowdery for instance was told he could, as a co-president of the church, teach and expound on doctrine but he could not receive revelations pertaining to revealing new doctrine for the entire church. Only Joseph could do that. I believe this applied to the dispensation Moses was living in as well. Moses and at least 70 others had seen God. Yet none of those 70 others were commissioned by God to lead the whole congregation of Israel. Only Moses was commissioned to do that. Moses was saying that he wished all of Israel were filled with the spirit of prophesy for their personal use and to edify others in Israel but he was not saying that he wished that everyone was presiding over Israel with him. It is only necessary for one person to direct the church and speak in behalf of God. The importance of everyone being prophets for themselves is in being able to discern for themselves if the main prophet of the church is inspired in his directives, etc. There really is an order of the priesthood during this time in mortality. “There really is an order of the priesthood during this time in mortality.” That’s the same assumption that caused the death of Zacharias and the banishment of John the Baptist as an infant into the wilderness with his mother. They figured the Messiah would come through the High Priest or through the priesthood thus making John the prime target. Yet, Jesus the Great High Priest, came outside their line of authority, it came by birthright without laying on of hands and caused lines of authority to be the largest stumbling blocks to the learned of his day. Isaiah 11 (quoted by Moroni to JS in 1823) / Section 113 talks about a Davidic servant that will come the same way Christ did. By birthright. My opinion is Jesus was to Judah a severe test of true spirituality, the Jews failed horribly. This prophesied Davidic Servant of the future will try the rest of the House of Israel in like manner. He’ll come to the birthright tribe and other remnants of Israel gathered under the banner of Mormonism, but he’ll come from outside the line of authority. It would only be fair since the tribes were scattered and only Judah/Levi were left when Christ came. As far as priesthood goes, I’d check your line of authority, if anyone in it was ordained to the priesthood between 1921 and 1957 you have about as much priesthood as the Queen Elizabeth. If you don’t understand what this means, look up what Heber J Grant did in 1921 regarding priesthood ordinations and then look up how David O McKay had to change it back in 1957. “But, behold, verily, verily, I say unto thee, no one shall be appointed to receive commandments and revelations in this church excepting my servant Joseph Smith, Jun., for he receiveth them even as Moses”. I have no ambitions to receive revelations pertaining to the governance of the Church. I’m quite happy to leave the job to Monson and Company. However, friends and saints should gather together as one to testify, prophesy, rejoice, and share experiences re: Jesus Christ. Truthfully, I do it all the time, and it feels good; it feels right; it enlivens the spirit; it’s burning those old impurities away. What you’re saying just doesn’t resonate with me. You’ve got to watch yourself; are the words coming out of your mouth “good news”? You can quote scripture all you want, but I quote the Spirit, and the Holy Ghost has more power than a mere book. Of that I testify. I have not read all of this article but I want to comment on one thing. President Woodruff never stopped authorizing plural marriages through the First Presidency, notwithstanding the manifesto. Most of these plural marriages were performed in Mexico. The CJCLDS was set up among the Gentiles as a “church” and did not have any political authority. It was to be subject to the US government. The manifesto was not a revelation, but a political maneuver. The church was to be like the widow before the unjust judge and never give up the right to have plural marriage at least when the covenant requires it –for instance D&C 132:44 but also when specifically revealed. The church eventually failed at this last part, but it was NOT President Woodruff that failed. It was not until 1904 that the First Pres. completely stopped plural marriages even in Mexico, and even then it was not a capitulation. I would say that happened later under President Grant. When I read the Word of the Lord revelations given to President Woodruff I remain convinced he did have the identical gift of oracles that was restored to Joseph. http://www.2bc.info/pdf/WWoodruff.pdf President Woodruff may have had weaknesses, but I believe he remained faithful to the Lord to the end. the kingdom of God in all the world. Taylor, as the word of the LORD. God, and be prepared for that which is to come. These verses are significant in my mind for this point: this revelation was given to Elder Woodruff when Elder Taylor was the head of the church. These verses verify that all the apostles, and I would add all the faithful in the church, can receive true revelation if they prepare themselves for it. But such revelation must be given to the head and not passed around. This was done by Elder Woodruff with this revelation, by the way, and John Taylor accepted it. If you read the John Taylor revelations, all but one of them came after he accepted this revelation in 1880. If he had had a big head as the head of the church and rejected this revelation because it did not come through him it is certain his own gift of revelation would not have blossomed as it did. Anyway, that is how I see it. I would like to consider the question, what is “the testimony of Jesus”? It’s an important question. The three kingdoms of glory are all described in terms of “the testimony of Jesus”. Whether in scripture or in the teachings of the Prophet Joseph Smith, the phrase is always, “THE testimony of Jesus”, never “A testimony of Jesus” as you phrased in in this post. 99% of the time the word “testimony” is used by members of the church in everyday speech it is used to mean “conviction” or “believe”. For example, “he lost him testimony” or “my calling has really strengthened my testimony”. I readily acknowledge that there are revelations where the word’s meaning is not clear and in context “testimony” could easily be construed to mean, “conviction”. D&C 66: 7 Go unto the eastern lands, bear testimony in every place, unto every people and in their synagogues, reasoning with the people. There are, however, many instances where the term is used by the Lord to mean “witness”, as in “I witnessed the accident” and therefore I can give faithful “testimony” as to what I saw. D&C 19:22-23 And now, after the many testimonies which have been given of him, this is the testimony, last of all, which we give of him: That he lives! D&C 5; 11-12 And in addition to your testimony, the testimony of three of my servants (WHO WE CALL THE THREE WITNESSES), whom I shall call and ordain, unto whom I will show these things, and they shall go forth with my words that are given through you. Yea, they shall know of a surety that these things are true, for from heaven will I declare it unto them. 2 Nephi 29:8 Wherefore murmur ye, because that ye shall receive more of my word? Know ye not that the testimony of two nations is a witness ….. The word arose in the 14th century from Latin testimonium, derived from testis, meaning “witness”. As an interesting aside Romans placed their hand over their testicles to swear testimony, something like “cross my heart and hope to die”. This is dictionary definition #1, “evidence that a witness gives to a court of law detailing what the witness has seen or knows about a case. Definition # 4 “a public profession of Christian faith or religious experience”. The term “testimony of Jesus” is used only once in the Book of Mormon. It is used by Alma and tied to “the holy order”. As Denver Snuffer taught in his blog on Alma 13, men of “the holy order” have seen God and more. The term is used several times in the book of Revelation. Notice John’s use of the term. He ties “testimony of Jesus” with things “he saw” and heard. The term only shows up one other place in scripture (other than Section 76), namely, Section 138. There are a few clues that these spirits had seen Jesus while in mortality. 1.They had departed the mortal life, firm in the hope of a glorious resurrection. (see Denver Snuffer’s Eighteen Verses on “Hope”). 2. Those listed all saw the Saviour while mortals, Adam, Eve, Abel?, Seth, Noah, Shem?, Abraham, Isaac, Jacob, and Moses, Isaiah, Ezekiel, Daniel, Elias?, Malachi, Elijah. D&C 11:28 Behold, I am Jesus Christ, the Son of God. I am the life and the light of the world. Or as in the most detailed account of the Second Comforter ever written. So to summarize, I believe that Section 76 was written in a way to allow for two interpretations of the phrase “the testimony of Jesus”. Those who choose to believe that having a conviction of Jesus is sufficient in this life to achieve exaltation can read it that way, however, the phrase is best interpreted to mean, Jesus’ testimony of himself, which one receives when Jesus bears witness of himself in person, either by voice or face-to-face. I was pleased to see another commentator also explained this important view of this important phrase. i rather enjoy the articles i’ve read here. that said it should be noted that Christopher Nemelka is a proven fake and liar and has openly admitted he lied about the book he wrote. that said it is a rather clever forgery and his story is certainly interesting enough. the only point to reading his stuff is to better understand what a clever forgery really is. had he not openly admitted to lying about the whole thing and didnt have many criminal charges against including failing to pay child support this might of gone somewhere dangerous.